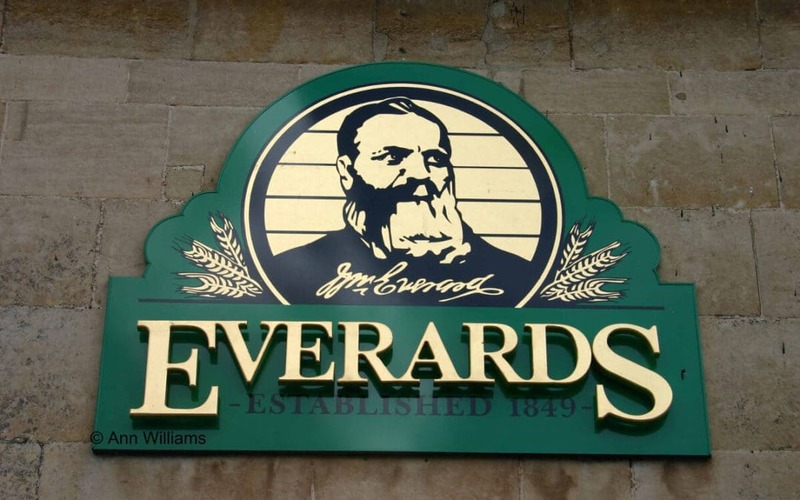 In February 2017 Everards, Next Plc and The Crown Estate (with Ginko Tree Investment Ltd – The Crown’s Chinese joint venture partner) secured detailed planning consent for 300,000 sq.ft of retail development on our current office and brewery site. Since then our negotiations with The Crown Estate have continued but, to date, we have not reached an agreement on price and terms. As a Board, we have decided that, with or without a land sale, we will leave our Castle Acres site this Summer and, by 30 October 2017, provide vacant possession of our site for the purchaser of the land. Vacant possession essentially means leaving the site in a condition where our existing buildings remain, but all contents, fixtures and fittings will have been removed prior to 30 October. Another word often used for this activity is Decommissioning, so may I confirm the Decommissioning timetable. We will continue brewing and packaging Everards beers, here at Castle Acres, up to Friday 28 July. As many of you will be aware we have been preparing for this event for over a year now, working closely with two Partner Brewers – Robinsons Brewery of Stockport and Joules Brewery of Market Drayton, Shropshire. Both are independent family owned breweries with modern plants and a track record of brewing excellent beers. We have worked in close partnership, with both welcoming our brewing team to work alongside them in their brewery, brewing our beers, with our materials, to our recipe and with our unique yeast. Throughout the process, the beers have been rigorously laboratory tested and an Everards tasting team led by our Head Brewer, Graham Giblett, have held blind tastings of every beer throughout its shelf life. Robinsons (who are brewing Tiger and Beacon Hill for us) and Joules (who are brewing Old Original, Sunchaser and Limited Edition Beers) have, over the last year successfully matched the quality recipe and taste profiles of all our beers. In fact, since the beginning of the year we have felt confident to introduce these beers brewed with our partners into our pub estate alongside our beers brewed at Castle Acres. 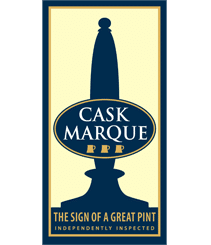 Apart from one minor issue with the 2nd batch of Old Original, (which turned out to be, a now resolved, intermittent issue with a cask-washer not with the brewing of the beer) we have received no customer feedback – which, of course, is the aim of this initiative. I am sorry that I was unable to announce that we had started to send out partner brewed beers at the time, but we were looking to present these beers in a natural way so that we could check that our beer match process had been successful with the most important people – our drinkers. Everards Beers, brewed by Robinsons and Joules are, right now, in our pub estate being enjoyed by customers, so the aim is a seamless transition as we cease Brewing at our Castle Acres site. The move off our Castle Acres site, in part, reflects our desire to remain as Brewers in the future, but with a much smaller operation focussing our sales on our growing pub estate and key strategic sales partners like Leicester Tigers, Leicester Riders, Curve Theatre etc. This decision inevitably has an impact upon the scale of our organisation structure. As a result there will be 27 roles which will potentially become redundant in our production, packaging, sales and head office teams, of which 7 are employees who have volunteered for redundancy. 4 new roles will be created and it is hoped that some of those people whose roles are made redundant could be considered for these new positions. The retained Brewery and Packaging teams will support our Partner Brewers Joules and Robinsons along with providing cover at our new logistics facility at Optimus Point. A period of consultation will now commence with those people affected by these changes leading to our new organisation structure being fully operational with effect from Monday 31 July. The sale and redevelopment of our Castle Acres site will provide the funds for us to develop Everards Meadows. As you are aware, we are currently on site at Everards Meadows creating the entrance and exit, utilities and drainage in readiness for our build programme. This enabling works package is due to be completed by early September. However, we will not move forward with the build programme until we have received funds from the sale of Castle Acres. The development of Everards Meadows has always been dependent upon the optimum price being secured from the sale of Castle Acres, so I think it is right to hold and, at this stage, review our options for the build programme until the position on a capital receipt is clearer. During this period of change, we have continued to perform very strongly – in the performance of our beer brands, our pub estate and our commercial property business. This is reflective of your hard work, teamwork and support which I sincerely thank everyone for. It is naturally a very sensitive period which we now enter, characterised by a whole range of emotions. I would ask that everyone be aware of each other’s sensitivities and feelings and I will ensure the process is managed in a thoughtful, caring and professional manner.